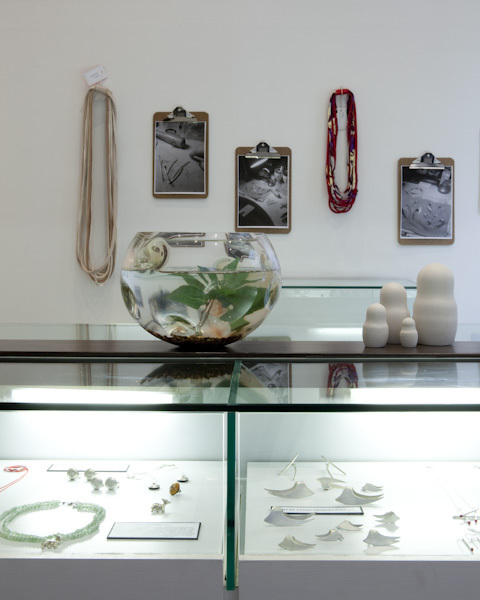 FK talks to Kelly, Zoe & Penny some of the talented team behind Gaffa Gallery in Sydney’s CBD. We are proud to announce our involvement also with Gaffa on the Arcade Project later on this year. 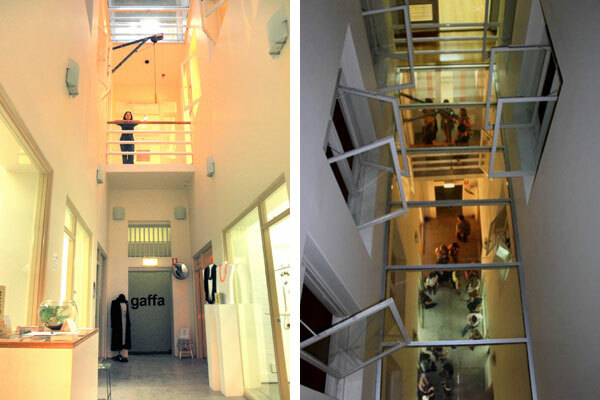 Tell us about Gaffa Gallery and what we can expect to find in the beautiful 3rd storey building in the Sydney CBD? Kelly: Hopefully, you can expect to find more than the physical components outlined on our website. You’ll also find an environment that’s artist-run in both attitude and in execution. We pride ourselves on nurturing an environmant where creativity and it’s audience can meet. 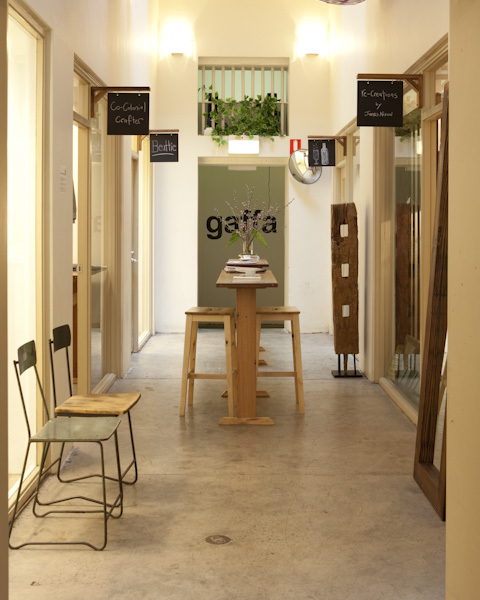 Gaffa is indebted entirely to Sydney’s Creative Community, it has been built by them, is sustained by them and aims to enduringly provide a space where compelling and new ideas can be tested and refined. What was the inspiration on starting Gaffa and how has the concepts shaped and evolved into where it is today? Kelly: Gaffa began through a collaboration between myself, who’s previous background is steeped in the broader visual arts and artist-run initiative community – and Aidan Li, who’s background is more in the contemporary object and art design community. We started off seeking to create a space where the spectrum of disciplines and cross-platform work could come together and be represented. Organically, an entire community has grown around Gaffa and it has become more of a hub where creative practice occurs across a wide range of avenues, through our studios, galleries, events, artist talks and off-site projects. What have been the main challenges from moving from Surry Hills to the CBD? Kelly: Because of the much larger scale, the main challenge has definitely been to create and maintain operational systems in an attempt to (at least feel like we are!) rope the chaos into some kind of order around here. Tell us about the new Arcade Project space and the concept behind it? 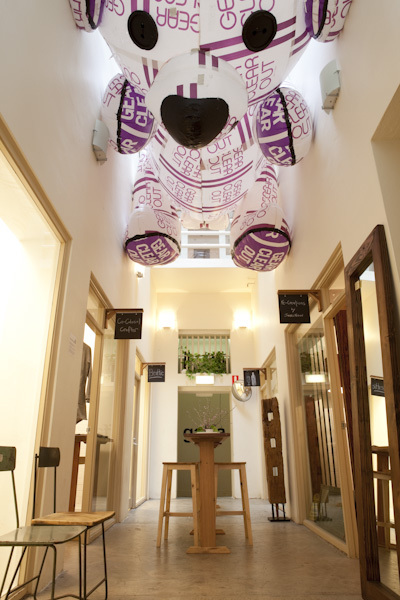 Zoe: The Arcade Project is a dedicated retail arcade located on the ground floor of the Gaffa Gallery creative precinct. 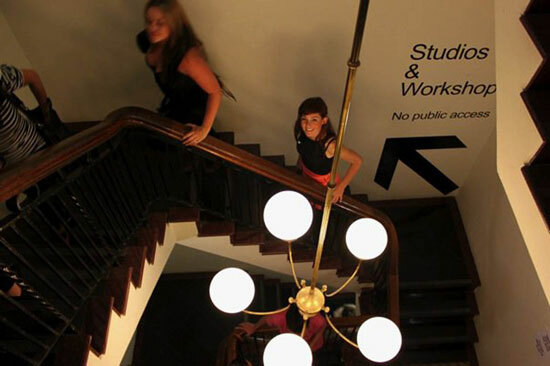 It is aimed at mid-career designers, upstart emerging makers or any one with an interesting retail idea. Through these short lease pop-up style retail stores we aim to bridge the gap between one off market stall and owner run retail space. Who is the team behind Gaffa and what are their roles? Kelly Robson (Director): I am one of the founding directors of Gaffa and for the last four years, have managed and expanded the initiative. My background is in the Visual Arts having studied art for as long as I can remember, in Singapore, London and then finally here in Sydney where I obtained my MVA from Sydney College of the Arts in 2009. Whilst this gives me the invaluable benefit of being able to relate to the artists that we work with, my role in general has always been pretty organic and can range from annual programming, design and installing exhibitions (where my arts background comes in handy) to really mundane but important things like accounting and administration (which my ability to do I can really only attribute to being a Virgoan control freak). 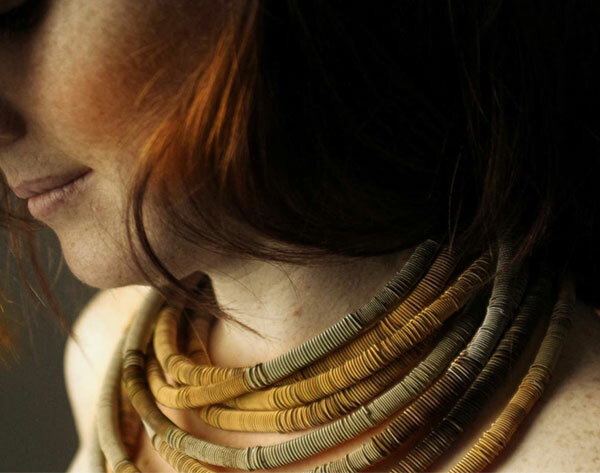 Zoe Brand (Retail Manager): I am a maker, wearer and viewer of contemporary art jewellery. 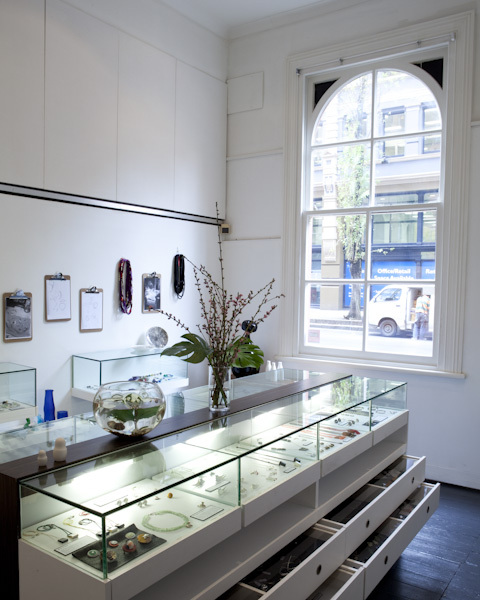 At Gaffa I manage the ground floor retail areas that includes ‘The Arcade Project’ and ‘Sterling’ by Gaffa – a permanent contemporary jewellery and object retail store. This year I am also directing the exhibition program for Keeper Gallery, which is an initiative that gives an emerging curator the opportunity to direct a gallery space for a period of time. What do you love most about working for Gaffa? 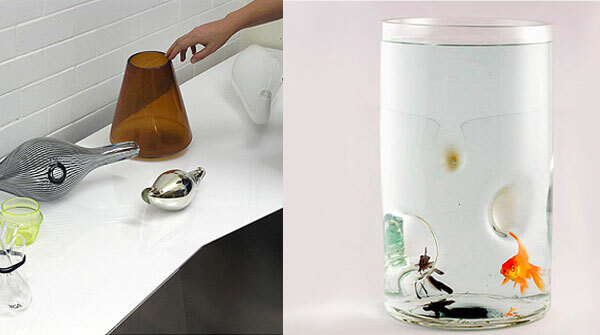 Kelly: I love learning things on the go and the sink or swim nature of self-management. There’s never really enough time to over-think or over-stress about anything – and then before you know it, you have a new skill set and you’re able to contribute it to a community that really appreciates it. Now that Gaffa has expanded and I’ve been able to take on some new team members I am really enjoying sharing the craziness and excitement (along with the workload) and having valuable brainstorming sessions during which we workshop ways to keep this ship afloat and to introduce new ideas into our programs in practical ways. Zoe: Pretty much everything! I am very fortunate to have such amazing people to work with and the freedom to manage my own workday. Our days tend to be extremely varied as we manage an array of on and off site projects as well as run over 3 levels of creative spaces. Highlights tend to be morning meetings over coffee from KLINK (our in-house café), talking with student groups and curious passers-by about what we do to and who we are, Thursday fortnightly gallery openings, and the opportunity and ability to champion emerging artists, designers and makers. Penny: I love working within an artist run space. The people I work with are really enthusiastic and friendly, and ever-encouraging. Everyone is like minded in the sense that they want to support our community and foster established and emerging artists. There is such diversity in the type of work artists are making, and the process by which it is produced, and I feel I am constantly learning from the people around me. I feel fortunate to have such a collection of mentors around me, pushing me to think, problem solve and explore the very nature of contemporary art, and how as a contemporary space, we can support it. 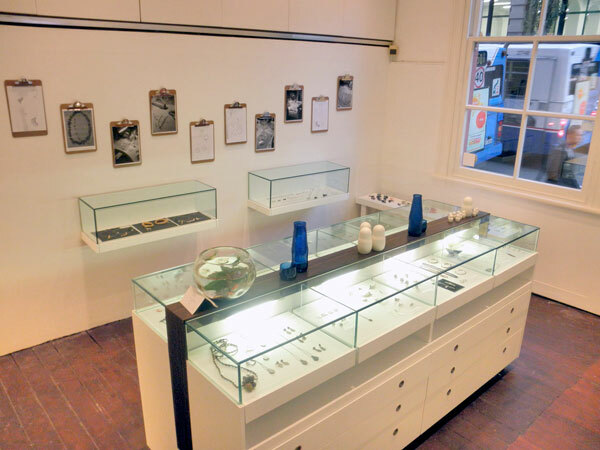 Sterling – their new permanent contemporary jewellery & object retail store. What are some of the concepts that are unique to Gaffa that don’t currently exist in other Gallery spaces in Sydney? Kelly: I wouldn’t go as far as to say that there’s anything we do concept-wise that is ‘unique’ to Gaffa that you couldn’t find in any other Sydney art-space as I think there are a number of amazing artist-run initiatives currently in existence which run on a similar model. I think where we are fortunate though, is in the networks that we have developed across a range of creative communities and the recognition we have received from these various areas that we are serious about what we do and won’t just be a flash in the pan. Thanks to this community that has grown around Gaffa, we’ve been able to put quite experimental ideas into practice and because of the continual feedback we receive, we know in which ways they need to be tweaked or tailored to have longevity. 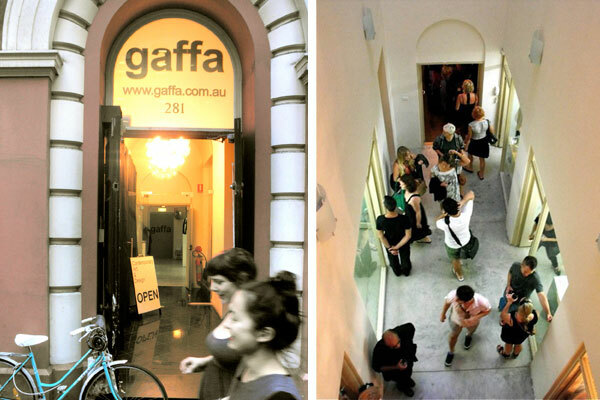 Tell us about the workshops and studios that are at Gaffa. Now that we have the luxury of more space, we’ve been able to dedicate an entire level, above the gallery to our studios and workshops. We are very proud of our communal workshop which boasts much of the equipment you would find in a tertiary institute workshop. Recently we’ve opened our workshop doors up for beginners and intermediate jewellery classes which have been a huge success and are heaps of fun. Love this interview, These Ladies are amazing! Can’t wait to hear more about FK curating later this year!